Where do you get your organic or obscure vegetables? With Grow Vegetables you don't need to go any further than your own garden. Grow Vegetables is your one-stop, step-by-step reference for growing your own vegetables. With its inspiring photography, clear instructions, and friendly advice, you will be growing tomatoes, eggplant, peas, and everything in between in no time. 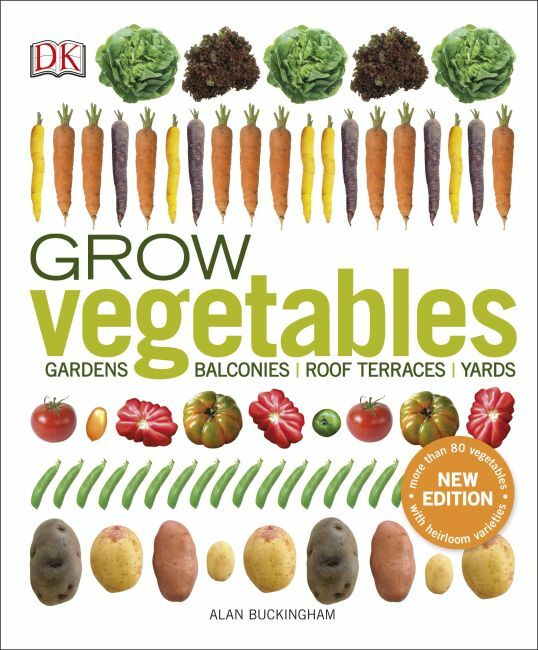 This refreshed and updated edition has unparalleled depth of coverage, featuring more than 80 vegetables and herbs, with new vegetable cultivars and heritage varieties that can't be found in your local supermarket, and including new entries on grafted vegetables. A year-long planner and "vegetable doctor" section with troubleshooting tips make it easy to avoid a garden disaster. Whether you are an experienced gardener looking to expand your horizons or a foodie seeking your own organic or obscure vegetable varieties, Grow Vegetables makes thriving results achievable.